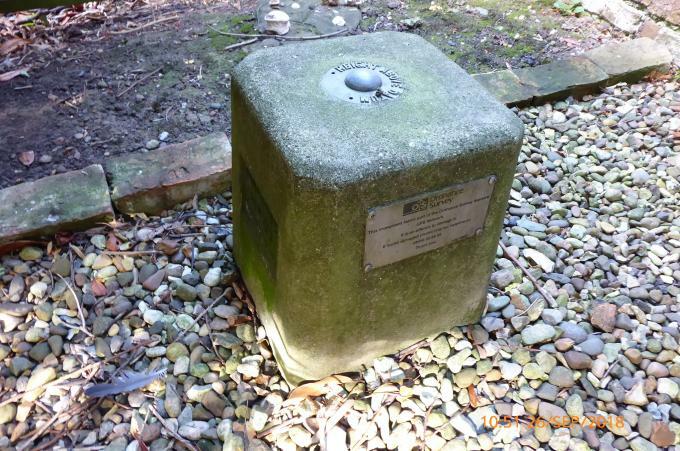 There are 16 photos for this trigpoint (view album). Is ranked joint 18892nd with 54 other trigs (more). Selection of photos for this FBM. See 10 more in the album. 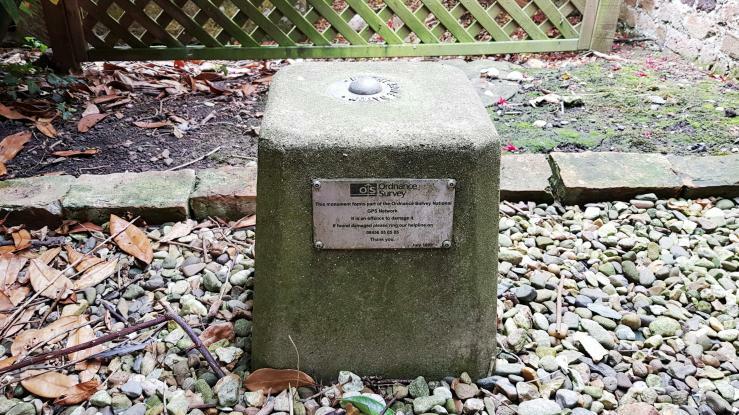 As others have found, in the front garden of #22 Church Lane. Knocked but no answer so took the liberty of a quick snap. Height tag missing. (810) Called at the house at different times, but no answer on each visit. Peered over the gate, hoping to catch a glimpse, but no joy. One for a revisit then. REVISIT 27.8.18 Fourth visit all told, and finally someone was home, and I gain access to the garden. Brilliant.... except, it was the wrong house I'd been calling at all these times! 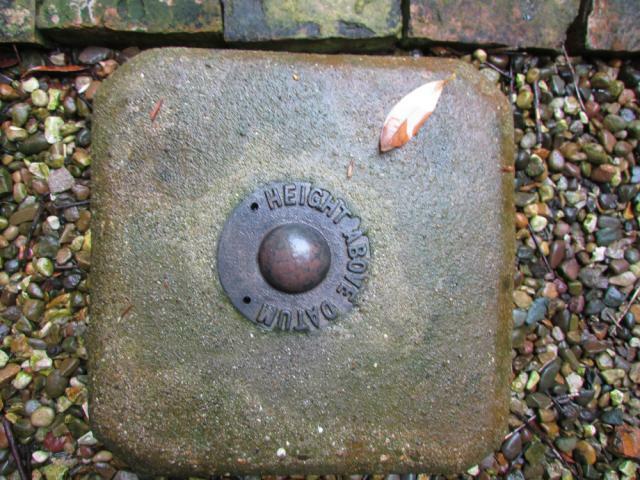 And the resident thought the FBM I was enquiring about seeing was the old sun dial - nice as it was - that they owned. Anyways, the confusion was soon cleared, and I was given directions to where I needed to be (note to self: check previous logs more carefully). Luckily someone was also in at the correct address. A very kind and chatty lady who was more than happy to show me the FBM. She knew all about the web site, and stated that they hadn't had many visitors this year. In fact I'm the only one - so far - for 2018. So, come on chaps, get visiting! Kindly shown to me Sun pm by the lady of the house. Gate open, knocked on door. Looking very good in the cleared garden of number 22 Church Lane, less than 20 metres from the front door. I asked to view the FBM and bagged before Rob Woodall. D2-6 What an FBM! Went to the house in the morning, disappointed when no-one answered my knocking, but decided to try later. Second time round the door was answered by the very pleasantly helpful daughter of the house who led me to the FBM in a secluded spot near the wall of the garden. 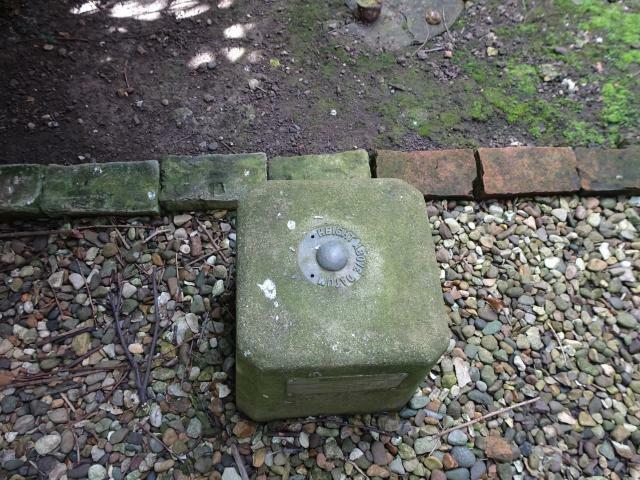 She said they had no idea it was there when they moved in, her dad found it when clearing the garden and are pleased as it gave people (like me!) pleasure to visit it. 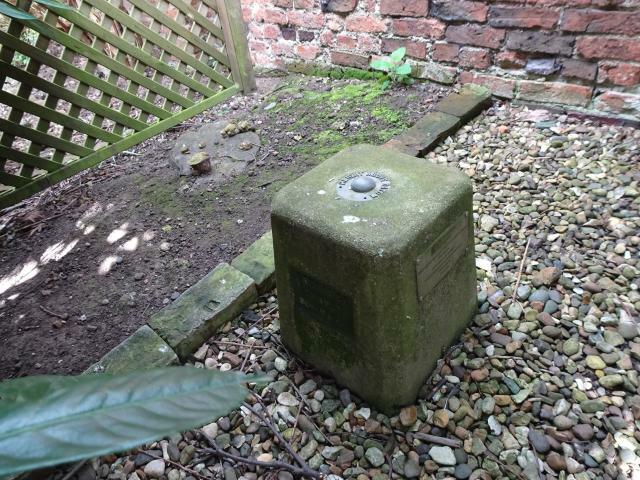 Patrington FBM, often thought to be missing, is still in its original location at 22, Church Lane (once part of the garden of Canada House but now a modern house with a separate curtilage). When I called the front gates were open. I knocked at the door and the lady who answered said it was fine to take a look at the survey mark. A wooden fence panel is visible to the left from the gate and the FBM is directly behind this. 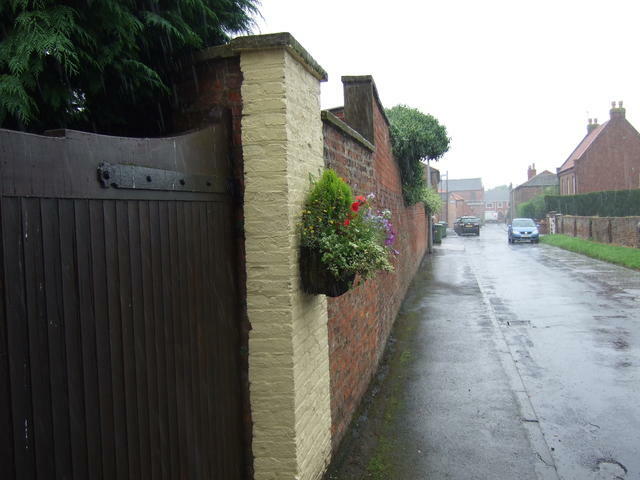 The OS description which still holds is "S side Church Lane opp church 1.1m S wall 3.7m W outbuilding - no railings". The height tag is missing otherwise the FBM is in very good condition and both OS plaques are present. 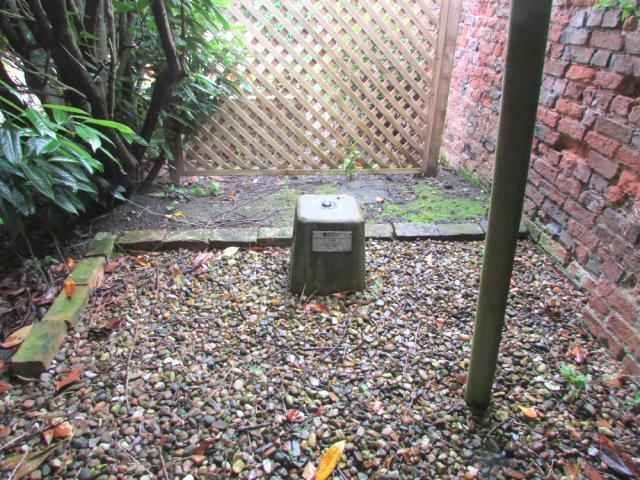 A rectangular plot of gravel, with brick surround, presumably covers the chamber. 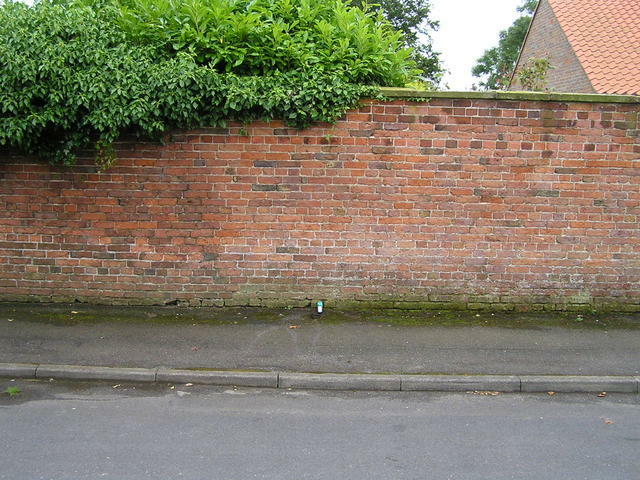 In 2008, Richard Short from the OS emailed "The Patrington FBM, as far as I know is still in the garden of 22, Church Lane. We last saw it in 1999. 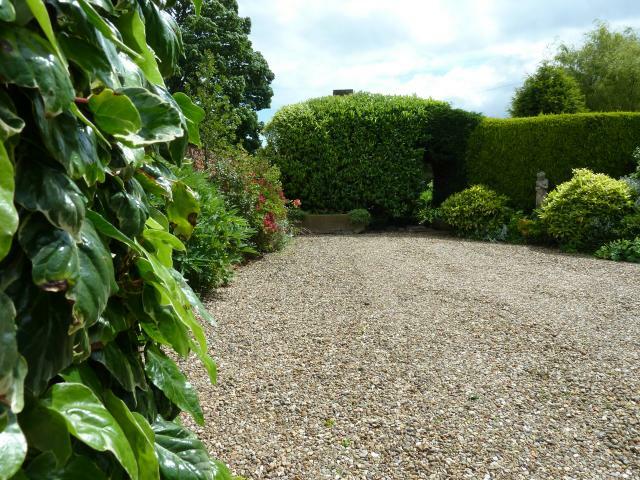 It is overgrown with Ivy and Laurel. (TA 3155 2249). The chamber is under some loose slabs." 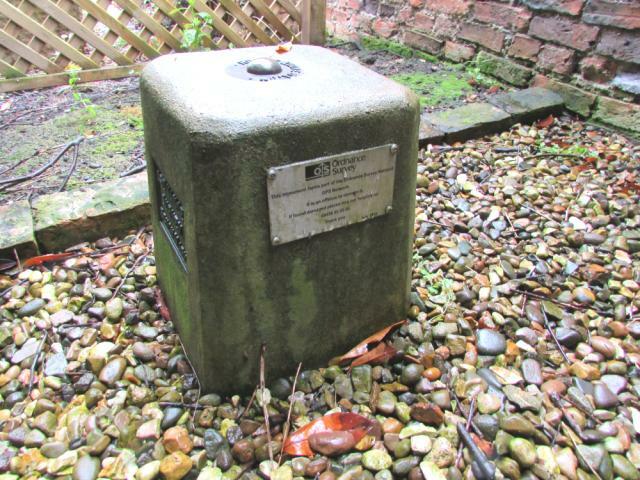 Its good to know that this marker has survived and is well looked after. Daughter of house suggested talking to mum for some history but nothing there. Had a long chat with the owners of the house. It seems that the area behind the wall was once the kitchen garden for the house. New house has been built on part of that area. Yorkshire. The gates were open but with hedges and a lean-to building joining on to the wall, it looks unlikely that the FBM still exists. 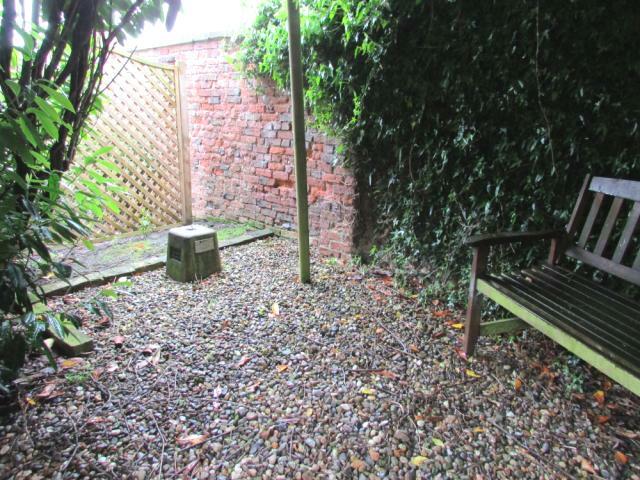 [Non-visit note] "The FBM is situated in the garden of Canada House Farm on the south side of Church Lane, Patrington, 1.1m south from wall and 3.7m west from outbuilding" - FBM perhaps lost to construction of a newer property in part of the former garden. just as i got to the gates a car pulled up and a lady who informed me she was looking after the house asked if she could help me,she had no problem with me having a look and i got excited that i might be able to sort this 1 out once and for all, i had only spent 30 seconds in the garden having a quick first glance round when the heavens opened and her goodwill soon disappeared,on the strengh of a quick glance i would not like to say it is definiely not there. managed to get inside and not even time for a quick photo of the garden. 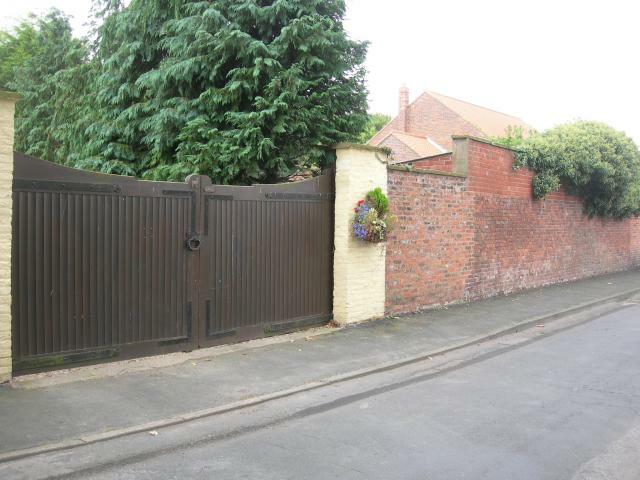 (170) Found house gates locked, so didn't even get chance to ask. At 42 years old climbing the 6ft wall to have a look didn't seem an option. Booooooooooooo - to uncooperative houseowners. I didn't bother knocking given the previous logs just admired the vastness of the church. 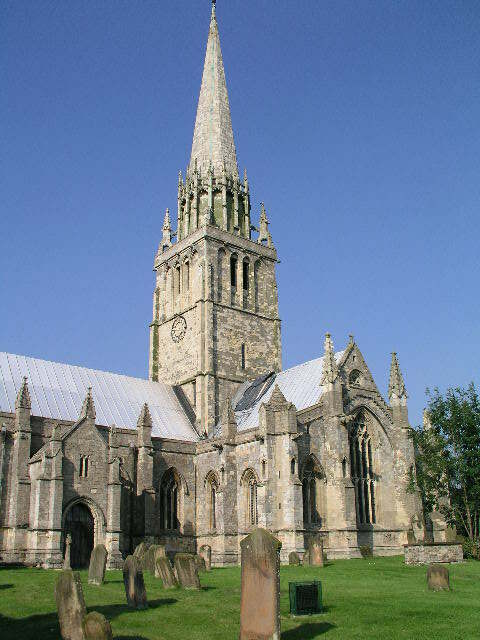 UTF 11/9/04, 1/10/05: expected at or near main gates to new house S side of road opposite church. Quick peek inside gates - doesn't seem to be inside front courtyard - and why should it be ? House new but wall is old, maybe was against the roadside wall, destroyed to make way for the entrance. My GPS also pointed at the walled garden, but I checked the churchyard in case of an error. Only fundamental burial markers in the churchyard. TP7184 The walled garden where the TP used to be? 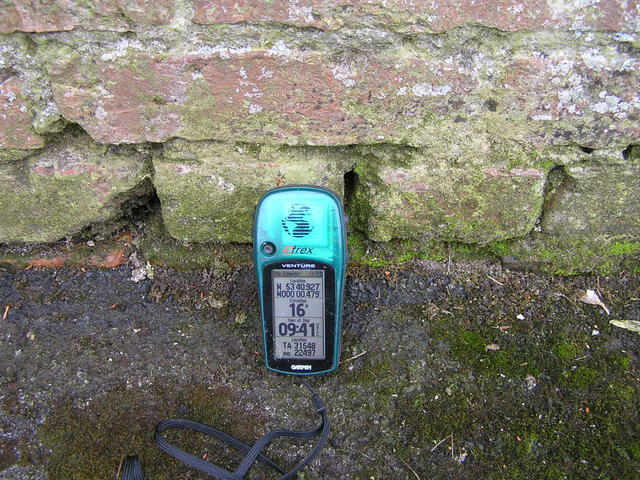 10 digit grid ref indicated other side of wall. 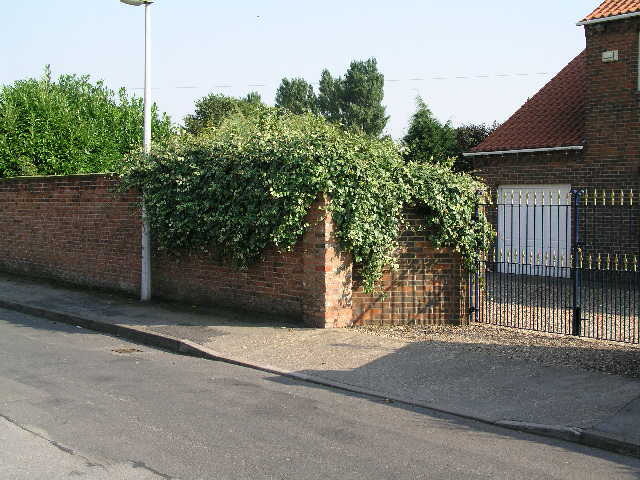 House faces the church and is set back a few yards from wall with gravel and black gates. Knocked and a woman came and I explained what I was looking for but she obviously wasnt interested and gave no permission for a forage in her garden.